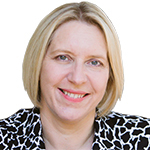 Nicky is a Chartered Accountant specialising in the voluntary sector. Previously working in practice, as charity manager at PricewaterhouseCoopers and audit manager at Susan Field Ltd, a charity specialist practice, Nicky has many years’ experience providing audit, accounting, governance and consulting services to a wide variety of charity and not-for-profit organisations, and holds the ICAEW Diploma in Charity Accounting. Nicky is delighted to be part of the AVMA team and having lost her father as a result of a hospital acquired infection she has a visceral understanding of the importance of AvMA’s work. Nicky has always been involved in the charity sector, from rattling collecting buckets for the RNLI as a toddler, through to being treasurer and fundraiser for a number of charities. She chose to specialise in charity accounting because of the inspirational people she was meeting, and the interesting technicalities of the work. Nicky realised a long-held ambition moving from practice to work within a charity. Nicky has two gorgeous grown-up sons and is local secretary for British Mensa. A senior graduate of Landmark Education, Nicky is wholeheartedly committed to living a life of joy, freedom, power and self-expression, and empowering others to do the same.